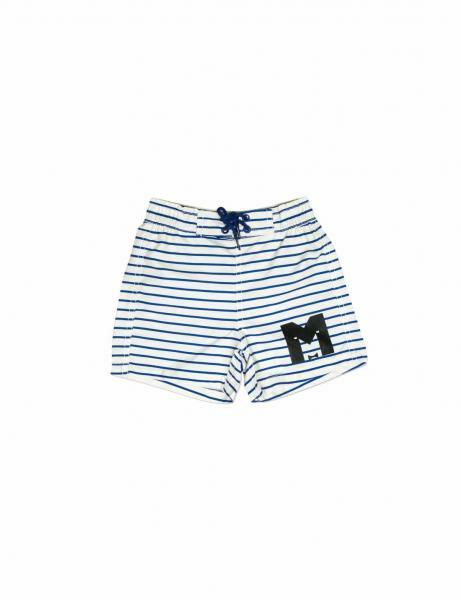 Blue-striped swim shorts with a black “M” printed at bottom front. 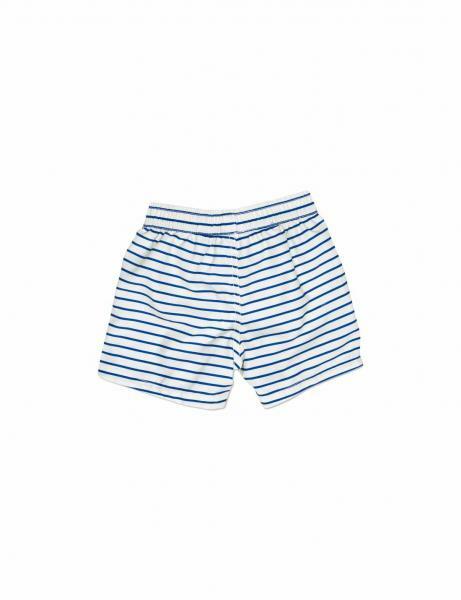 The swim shorts are made of fast drying microfiber and have elastic and a blue drawcord at the waist. 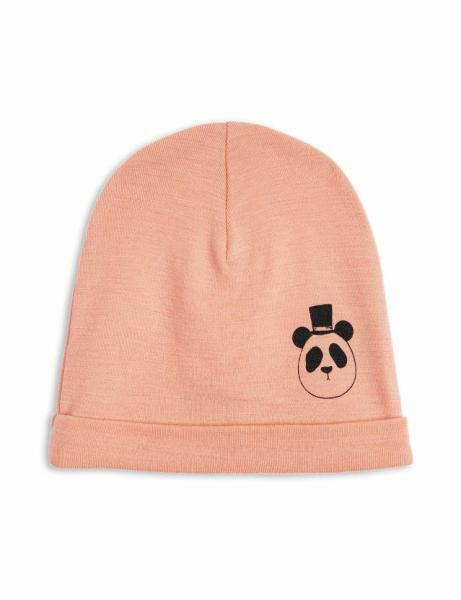 They have an interior mesh lining and are made of 100 % recycled polyester. • Mini Rodini’s logo and information about size is printed on the inside of the garments’ fabric to avoid any annoyance that might arise from a sewn-on label.